At the darkest point of winter there are many things to look forward to in the new year, not in the least the return of the garden shows. I have visited the Malvern Spring Festival a couple of times and I have pencilled it as a possibility for 2015. Then, in that way that paths collide and make you think about what was just a whim more seriously, you get a tweet out of no-where telling you about a kickstarter project for a garden. The Genetic Conservation Garden, designed by Tessa and Caitlin McLaughlin caught my eye for a couple of reasons. Firstly, I rather like the idea of crowdfunding. 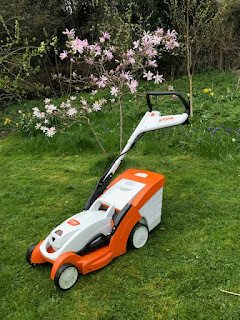 I can't remember when I first became aware of it but it is just such a good idea in general and to use it for funding a garden at a flower show is particularly good. Show gardens need money, they need rather a lot of money, I would go so far as to suggest that they need more money than the average person has. This means you have to get sponsors and that is not an easy task either. There are probably more people who want sponsors than there are sponsors and, quite frankly, if you are new the scene why should a sponsor risk giving the untried their money? I am not saying this is right, this attitude reinforces the difficulties young/new designers have when they want to make their names. It is the definitive 'catch 22', you will rarely get sponsored if you do not have a well known portfolio, you will struggle to get a well known portfolio if you cannot get a sponsor. 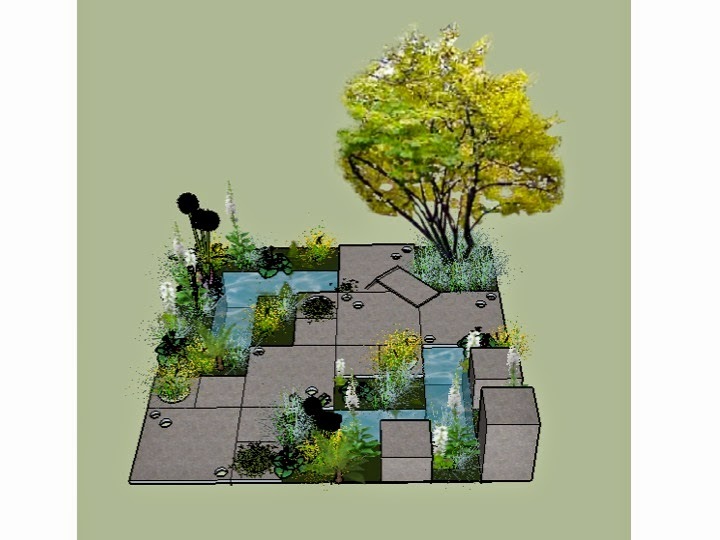 Secondly this garden is being designed by two sisters who are aiming very much for a female focus for their design. When asked about this Tessa and Caitlin said that they were greatly inspired by the 2014 Chelsea Flower Show and its featuring of young designers, but they felt it focussed mainly on young male designers and they wanted to redress this balance. I also noted on their blog that they write for a small charity called Progressive Women who state that "We organise networking, training and discussion events to support women, whatever their ambition. We aim to empower women to become leaders in whatever role they take on in both their professional and personal lives." Caitlin has a degree from the University of Birmingham in Biological Sciences where she focussed on Plant Sciences. Caitlin has worked at the Royal Botanical Gardens Kew and now works at the Natural History Museum. Her sister Tessa is a history graduate and is being the project co-ordinator for this garden. I asked them about their motivation/inspiration for the garden, to which they replied: "Crop wild relatives and their valuable genetic resources they hold are key to our garden and the main motive behind our design. We want to focus the publics attention on their importance and the need for their conservation. Our design uses CWRs in a planting scheme amongst standard boarder plants, which will really make people question these plants and their importance. The garden represents a portion of a genetic reserve, a nature reserve specifically focused on the protection of these plants." 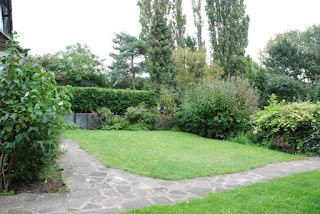 This garden caught my interest and I decided I would like to write about it. I do not actually know the two sisters, I cannot make any bold assertions about their skills or medal winning ability. 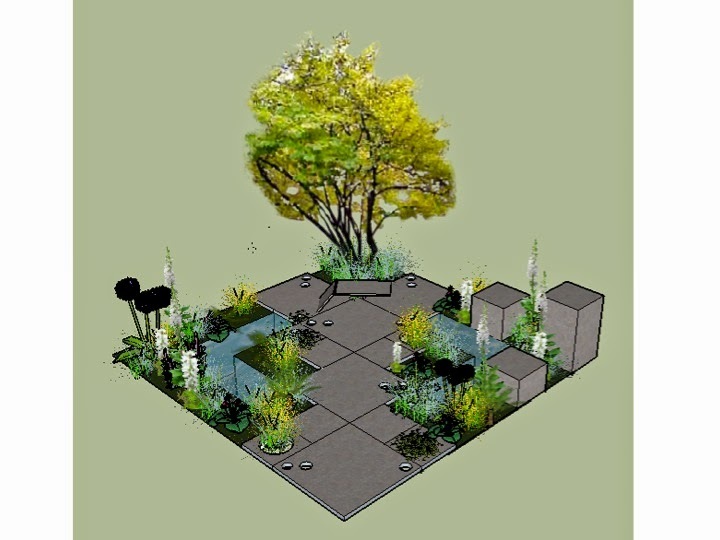 All I can say is that I like their approach, I like the bravery of trying to do something through crowdfunding and I really hope that I get to see their garden in reality and meet them at Malvern next year. The link to their kickstarter page is here as I write this they have 36 days to go and just under £3700 still to find. Was drawn by your post title, as I too, am a huge fan of the Malvern show, and try to go twice a year if possible. As I also have an interest in garden design, I had to come and have a look. I greatly enjoyed your post and it's an interesting way to raise funds. I feel for young designers trying to get started. I will watch the sisters' garden with interest.